When is a pool house not just a pool house? When it’s an Eichleresque physical therapy facility, that’s when. And, for Eichler owner Carol Winograd, that therapeutic description is exactly what the doctor ordered. 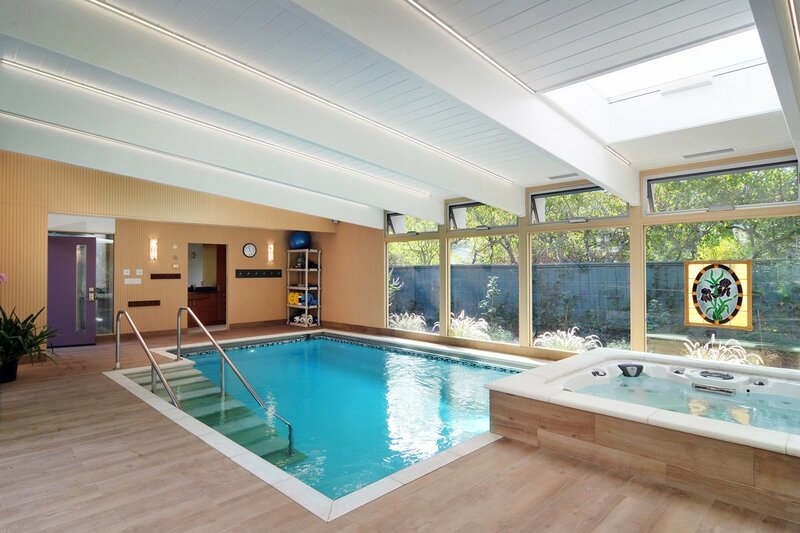 These days Winograd can slip into her required aquatic therapy any time of the day without leaving her Eichler home. “It really is well-designed,” said Winograd of the nearly three-year backyard project that has been helping maintain her health since its completion last year. What’s more, the pool house structure looks much like a real Eichler—very open, lots of glass, post and beam—a mini-Eichler, if you will, that nicely complements the Winograd Eichler home adjacent to it. 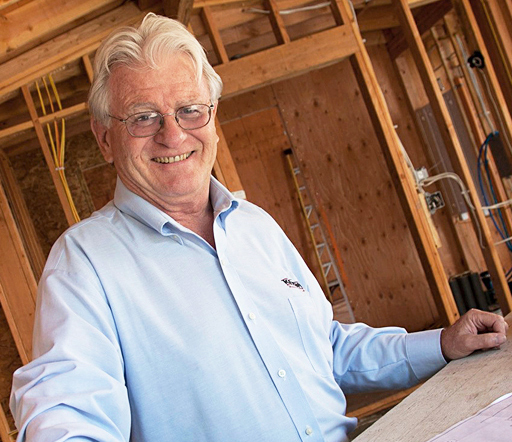 Carol and husband Terry are retired Stanford professors, who in 1983 bought one of the approximately 100 Eichlers built on campus exclusively for faculty and staff. Carol had for several years been doing aquatic therapy three days at the Betty Wright Aquatic Center in Palo Alto. 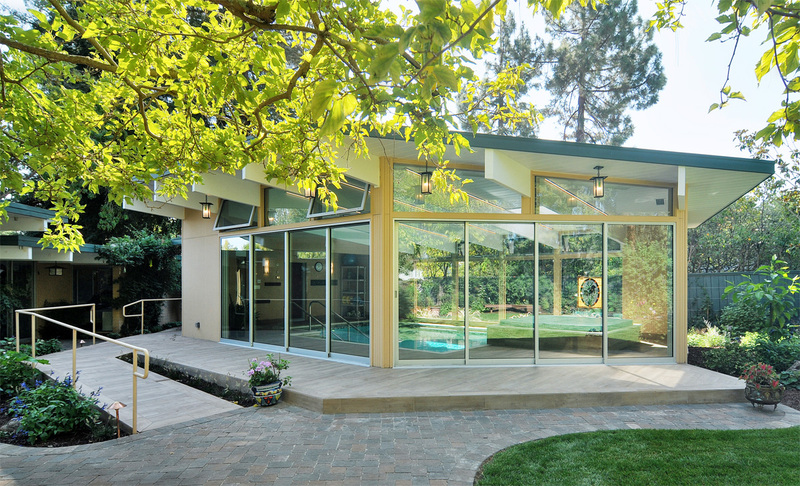 When the Winograds decided to build a backyard pool for her therapy, they hired Keycon Inc., a Mountain View-based general contractor with more than three decades of Eichler experience. Key literally submerged himself in the job, in a way not every contractor would.